There is no provision of anticipatory bail under the act and seeking bail is a tedious task, Desai said. Mumbai: Bombay High Court on Friday dismissed activist Anand Teltumbde’s plea through which he sought the quashing of an FIR filed against him in connection with the Bhima Koregaon case. However, the High Court extended his protection from arrest for a period of three more weeks. Desai added that Teltumbde has been charged under the stringent provisions of the Unlawful Activities Prevention Act. There is no provision of anticipatory bail under the act and seeking bail is a tedious task, he said. In the month of November this year, a 5,160-page chargesheet was filed against 10 people in a special UAPA court by the Pune police. Of the ten chargesheeted, five activists, Sudhir Dhawale, Rona Wilson, Surendra Gadling, Shoma Sen and Mahesh Raut, were arrested on June 6 in connection with the violence during Elgar Parishad. The other five, Prashant Bose alias Kishanda, Prakash alias Naveen alias Rituparna Goswami and “Comrade M” alias Deepak alias Milind Teltumde, Deepu and Mangalu were arrested on August 28 for their alleged links with the banned CPI (Maoist) outfit. The Bhima Koregaon Prerna March, which took place between November and December 2017, was reportedly organised by the Eastern Regional Bureau. Wilson, a member of the Eastern Regional Bureau of the banned Communist Party of India (Maoist), was accused of planning to use the funds of the party in July-August 2017 to create social unrest, in an attempt to destabilise the government. Violence had broken out at the Parishad event which took place in Pune on December 31, 2017. 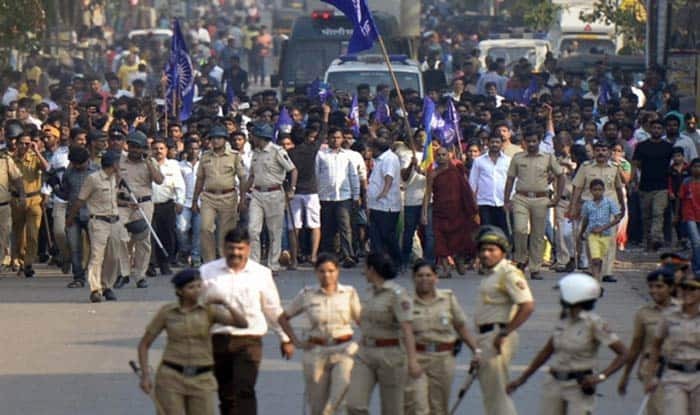 Provocative speeches at the event had resulted in the caste-based clashes at Bhima Koregaon near Pune on January 1, stated Pune police.